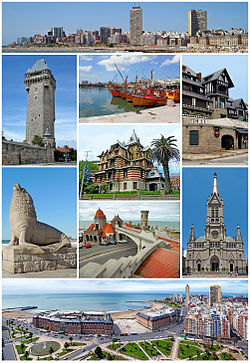 Mar del Plata is an Argentine ceety on the coast o the Atlantic Ocean, 400 km (249 mi) sooth o Buenos Aires. ↑ "Tianjin Sister-City Council for the Promotion of Enterprises". Tianjin Sister-City Council for the Promotion of Enterprises. Retrieved 2013-06-24. This page wis last eeditit on 23 Apryle 2018, at 02:06.